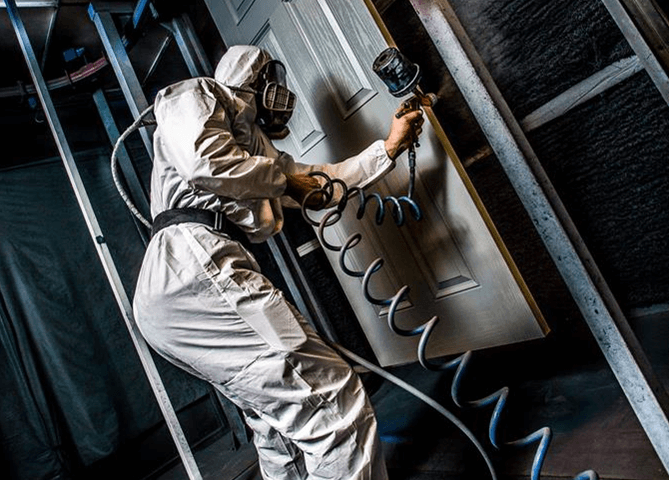 A Barnsley-based door manufacturing company is one of over 1,000 businesses to have secured funding to train their staff through the Leeds City Region Enterprise Partnership (LEP). Distinction Doors has grown from a standing start to be the UK’s leading composite door manufacturer for residential homes. Ranked in Sunday Times Fast Track 100 list 2014 the company has also seen a significant sales increase in the last three years. Supported by Enterprising Barnsley, the business support arm of Barnsley Council, they approached the LEP’s skills service for funding and training support to achieve their longer term growth plans which include increasing staff and apprentices as well as tripling their turnover. Distinction Doors has undergone transformational growth over the last 18 months, with the appointment of a new CEO, a new Board of Directors and increased staff numbers. Through the LEP’s skills service, they secured a grant of over £16,500 for staff to undertake a range of training including a management and leadership programme for the senior management team to support them to become more effective in driving decisions and in communicating effectively. A team leading programme was also undertaken to equip a member of staff with specific skills to complete additional responsibilities previously carried out by Senior Managers. The Finance Director also benefitted from the funded training, and completed an Institute of Directors (IOD) Certificate in Company Directorship designed to increase skills in finance management and strategic planning. Other courses included Level 3 CIPD Certificate in Human Resource Practice to upskill an existing staff member to assist with HR duties, enabling the HR Director to hand over operational aspects of HR and concentrate on the more strategic aspects in order to grow the business. The Certification provided a good grounding in HR and opportunity to benefit the business by learning best practice from other HR professionals. Enterprising Barnsley, the economic development arm of Barnsley Council, provides specialist support to businesses with growth potential. It helped broker the LEP’s skill service funding for Distinction Doors and continues to work with the company to support business and workforce developments and future jobs creation. To find out if your business is eligible for Skills Service funding and to apply, please visit: www.the-lep.com/skillsservice or contact them on 0113 386 1910 and skills@the-lep.com. The Leeds City Region Enterprise Partnership, also known as the LEP, is a private and public sector partnership, working to stimulate business growth across the Leeds City Region. The Leeds City Region geography includes 11 local authorities (Barnsley, Bradford, Calderdale, Craven, Harrogate, Kirklees, Leeds, Selby, Wakefield, York and North Yorkshire County Council). Our vision is to unlock the potential of the City Region, developing an economic powerhouse that creates jobs and prosperity. Our mission is that by acting as a bridge between government and business, we will help businesses to unlock their potential, attracting and retaining the best talent to the City Region and building its profile nationally and internationally. The LEP skills service is designed to provide employers within the Leeds City Region with greater ownership for addressing their skills needs to improve business competitiveness. The LEP offers support services enabling employers to source and finance the training their business needs. Eligible businesses can access between £500 and £50,000 to access training, with an objective to enable businesses (mainly SMEs) to have more effective “purchasing power” in the skills market. Businesses can design their own solutions and plug gaps in the mainstream offer . Accessing the LEP skills service is simple and straightforward. Key employers are leading the service supported by the LEP and the Leeds City Region Skills Network. Skills service priority sectors are: creative and digital, finance and business, hospitality and tourism, low carbon and construction, manufacturing and engineering, transport and logistics and medical technology. Additional media contact: Steph Pollard 01226 766900 or at steph@capitalbmedia.co.uk or 0776 196 4492.